debinnv, Puneet Sharma, CaFF and 4 others like this. Went back to regular creamer on vaca and was like Wtf is this. Got spoiled now. Lol Tha k's. Just got it yesterday in a trade here. Liking it so far. They’re nice but the joystick takes some getting used to. debinnv and VinnySem like this. debinnv, gadget!, MrMeowgi and 2 others like this. debinnv, gadget! and VinnySem like this. gadget! and CaFF like this. Switched over to the Axial with a single coil framed staple build. This thing absolutely chucks flavor. debinnv, MrMeowgi, f1r3b1rd and 1 other person like this. debinnv, VinnySem, CaFF and 1 other person like this. MannyScoot and Dan Hollis like this. lol, I was literally quoting that line while I was posting it. My wife says if I buy another gold watch or pocket knife she will force feed me some silver. gadget!, MannyScoot, CaFF and 1 other person like this. 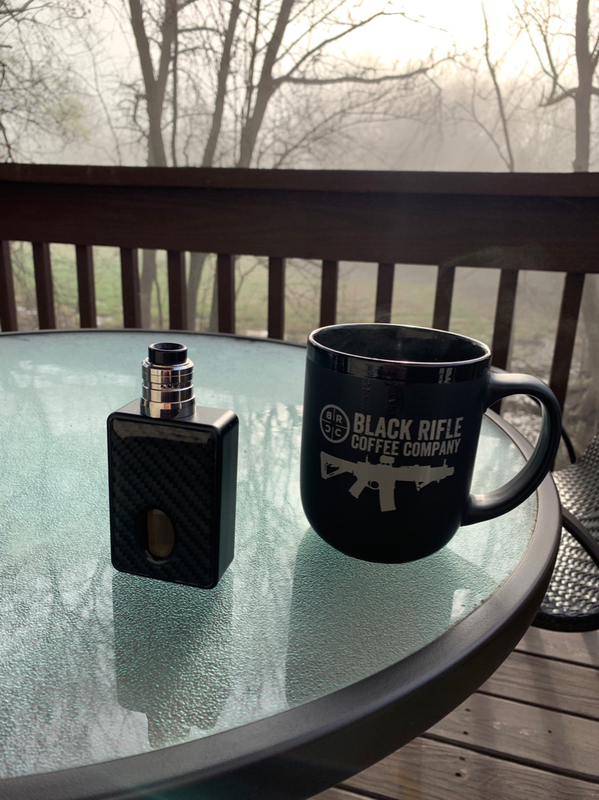 Taking a squonk break with the Raptor and a Dead Rabbit. debinnv, gadget!, MannyScoot and 2 others like this. debinnv, MannyScoot and Puneet Sharma like this. MannyScoot and VinnySem like this. I know a lot of people are having issues with the Drone... my experience has been anything but. 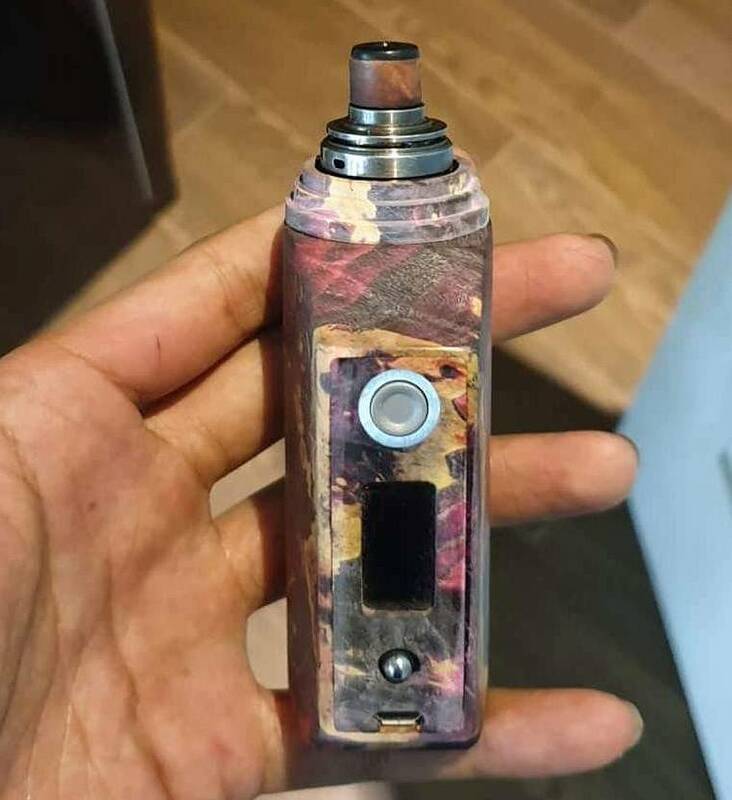 Really really like this mod. No door issues or anything. And the Drop.. biggest clouds I've ever gotten. And fantastic flavor. Glad I grabbed it (and others!) from you! 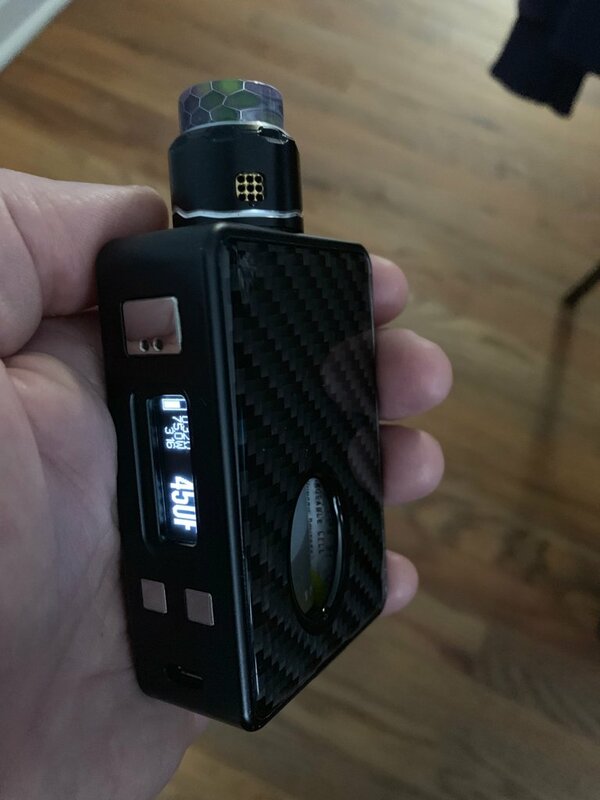 Son of Dr. Jekyll on Svengoolie handcheck. debinnv, gadget!, gsmit1 and 1 other person like this. I've had the Drop on my series box lately. The second rda I ever bought.That really is a great one still. I really like the build deck, the way the tails come out beneath for trimming, great design concept. 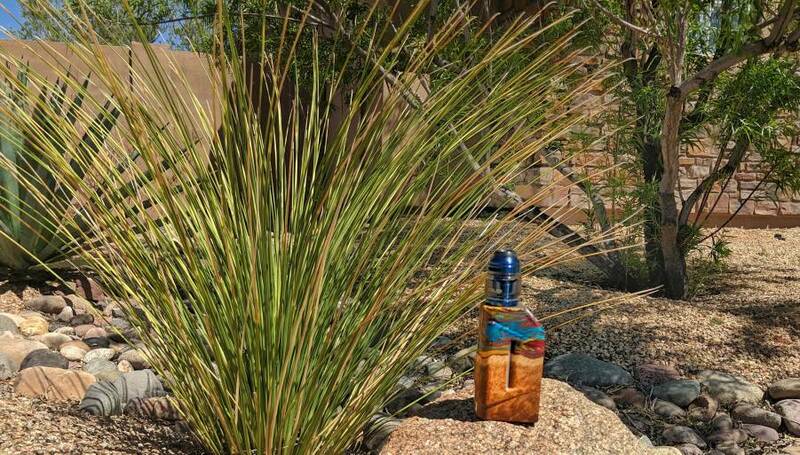 Easy to build on and great airflow, killer flavor. MannyScoot and gsmit1 like this. gsmit1 and VinnySem like this. I wasn't so sure about the long travel path for the juice up all that cotton before I bought it, but that has proven to be unfounded. I run mine with the top row of holes closed. VinnySem and MannyScoot like this. I run my airflow the same. I've got a dual 4mm 5 wraos SS clapton build in it, I use rayon wicking, the height is not an issue whatsoever. 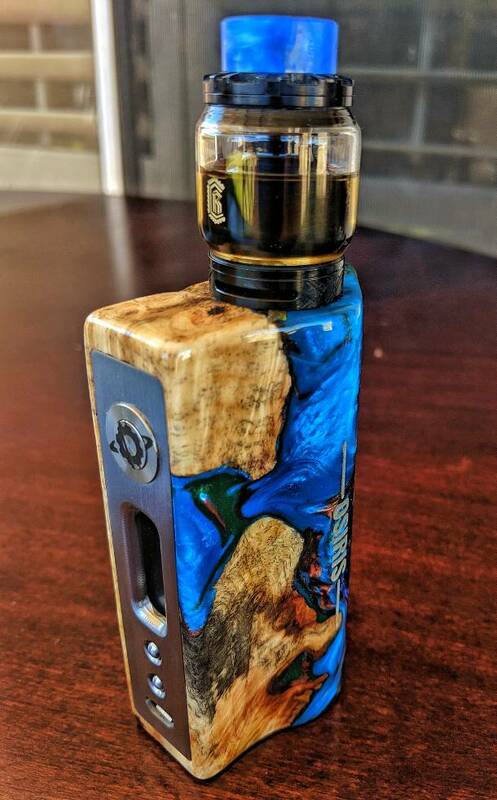 Those Osirus mods really are beautiful. I watched the video. I wonder what happened to them. 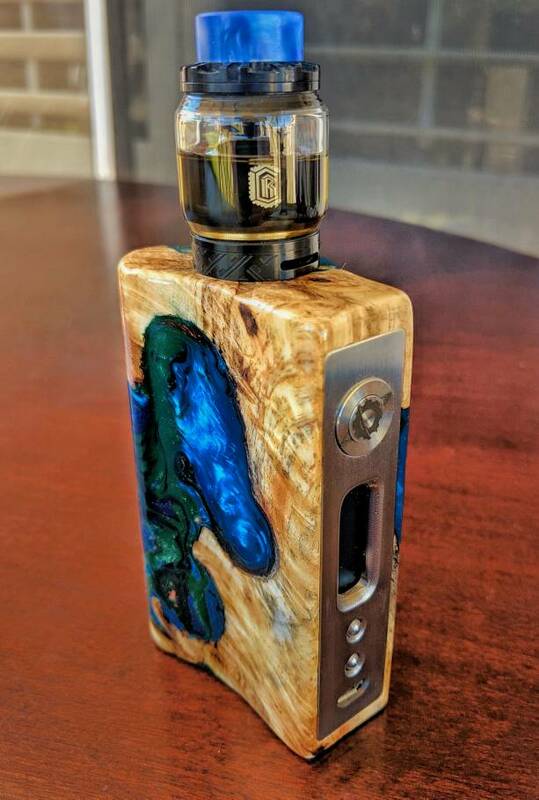 How hard would it have been to just say that due to the unique nature and labor intensive process required to produce these beautiful pieces, a wait time of several months can be expected for the receipt of your painstakingly crafted mod. Sure some people would have balked at that, but others would have been fine with it, and still others would consider the wait time a symbol of the prestigious aura of the product with bragging rights. Now he has NO business. jinx'd and MannyScoot like this. He built 20 or 30 and tried to sell them do a group, but like always he built one blue one red one green, one orange, one purple ..... But five people want blue.... So demand is higher for a specific color .... He ended up with 30 mods that nobody wanted. debinnv, gsmit1 and VinnySem like this. I love my drone, the battery door issue is not a big deal. If you squeeze the bottle hard it will pop out on one of the bottom corners so I just hold the door when I squonk. debinnv, Dan Hollis, bx10r and 2 others like this. Theboss, VinnySem, debinnv and 3 others like this. VinnySem, debinnv, gsmit1 and 1 other person like this. I ordered a bullet cap for my Dot 24. Kinda wonder if I should have gotten the competition cap instead. debinnv, lak611, gadget! and 3 others like this. Eric Draven said, “it can’t rain all the time.” He shoulda visited the Midwest in April ha ha. 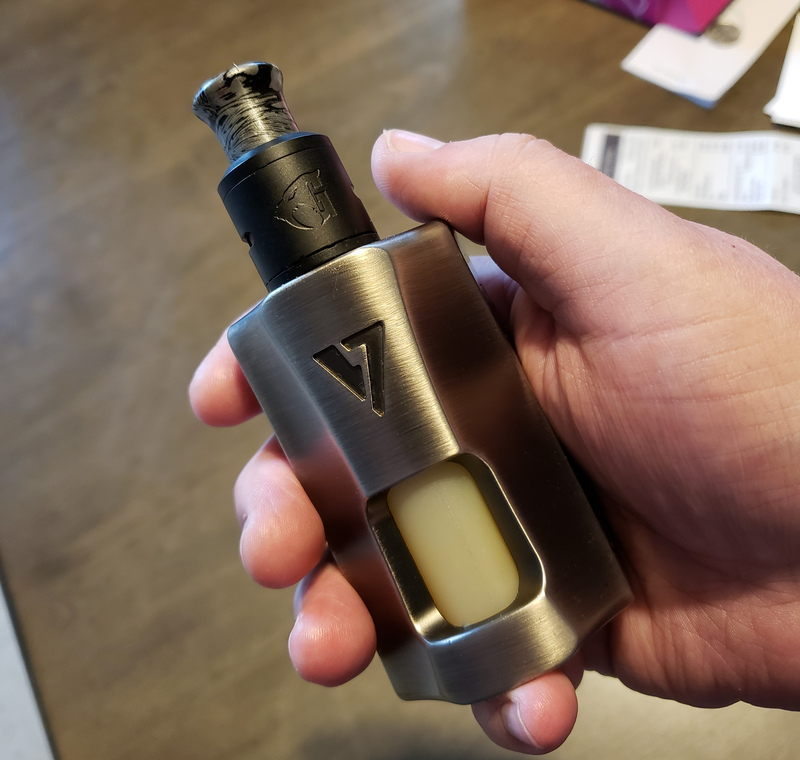 Basium in vv mode with Profile rda. debinnv, gsmit1, lak611 and 3 others like this. debinnv, lak611, gadget! and 2 others like this. debinnv, lak611, gadget! and 1 other person like this. debinnv, gsmit1 and lak611 like this. debinnv, gsmit1, lak611 and 1 other person like this. Dude, you grab your wood every day. Sometime multiple times a day. I've got pics to prove it. Huckleberried, gsmit1, wildgypsy70 and 2 others like this. debinnv and gsmit1 like this. debinnv, gsmit1, MrMeowgi and 4 others like this. Finishing the night with the Pulse and Hermetic with some Dinner Lady Lemon Tart. debinnv and lak611 like this. debinnv, gsmit1 and MannyScoot like this. Made coffee in my new thrift-store $3 coffeemaker, yay it works!! 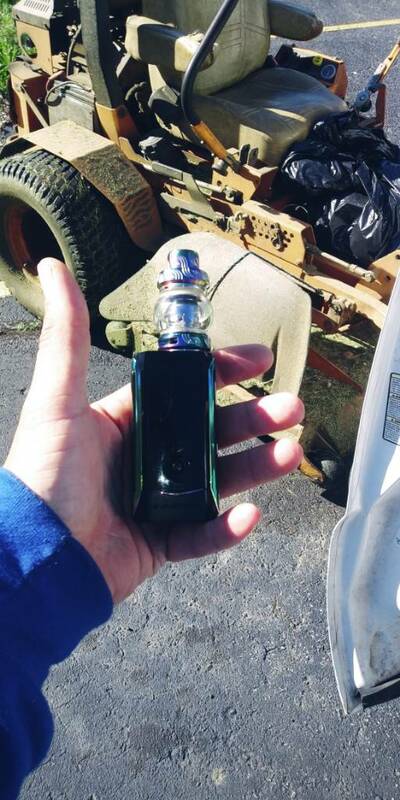 Grabbed this because it's a large tank full of 18mg Caramel Mocha and with no messing around with batteries. debinnv, gsmit1, MannyScoot and 2 others like this. Getcha a French press, man. I'll never go back to a drop coffee maker. MannyScoot and wildgypsy70 like this. Ya don't know me very well eh? Or, just trolling. I've posted pics of my coffee stuff maaannny times. There is a FP behind that drip machine. I have a Bodum Chambord 8-cup french press, a 60yo Armin Trosser conical burr hand grinder and an espresso machine I've had since 1991. Oh, and a Mellita pour over just in case. debinnv, VinnySem, gsmit1 and 3 others like this. Out of my element mowing grass. Give me some bushes to prune or trees to plant. gadget!, debinnv, gsmit1 and 1 other person like this. You have that running at 5.8 volts with a profile?